LONDON -- Nissan Motor Co. is to invest 192 million pounds (215 million euros) in Britain on the next version of its compact Qashqai crossover model, the Japanese carmaker said on Wednesday. The new Qashqai will be developed at a design center in London and a technical center in southern England and will be built at Nissan's plant in Sunderland, northeast England. Nissan CEO Carlos Ghosn announced the investment after meeting Britain's prime minister, David Cameron, saying it would safeguard 6,000 jobs, both directly and in the supply chain. The British government welcomed the announcement which fits with its strategy of trying to lift manufacturing as the country struggles to recover from the financial crisis and ensuing recession. Manufacturing makes up 13 percent of the economy. 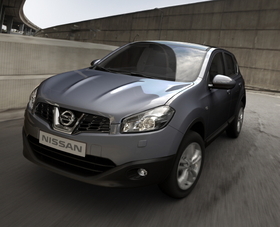 Nissan launched the Qashqai in 2007 to replace the Almera range of compacts. Although the car industry in Britain is now largely foreign owned, it still employs more than 700,000 people and accounts for more than 10 percent of exports -- an annual value of around 25 billion pounds. Besides the current Qashqai, Nissan builds the small minivan Note and compact crossover Juke cars at its Sunderland plant, 80 percent of whose output is exported. It is already investing 420 million pounds in Sunderland for the production of the Leaf EV from 2013 and a stand- alone facility to produce lithium-ion batteries for itself and partner Renault SA, from 2012.
Business secretary Vince Cable will visit Detroit next week where he plans to meet executives from Ford Motor Co. and General Motors Co. to press the case for investment in Britain. 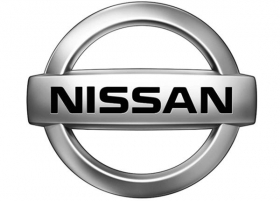 Cable met Nissan executives in Japan last week.